Come walk with us and discover the ghosts of Haunted Saratoga. Hear the stories that have lived on in our city for hundreds of years. 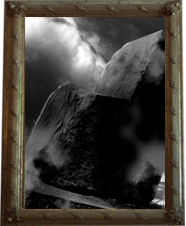 The will enchant, entertainand perhaps even scare you. Our 90-minute long walking tour will take you in search of the countless ghosts rumored to haunt the city. Total walking distance is less than a mile, covered at a very leisurely pace so that you can enjoy the Saratoga’s many infamous ghosts and haunted locations. 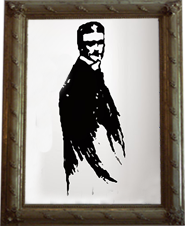 We are very respectful of the spirits we will encounter along the way. 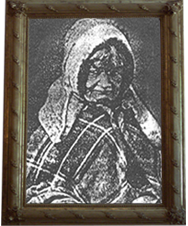 You will hear about and perhaps even meet Old Smoke who, it is said, haunts the old Canfield Casino, Angeline, known as the Witch of Saratoga, Hattie, who has been known to make appearances in her restaurant since her passing and several other spirits. Old smoke who it's said haunts old Canfield Casino. Angeline, known as witch of Saratoga. What is a Ghost Tour? 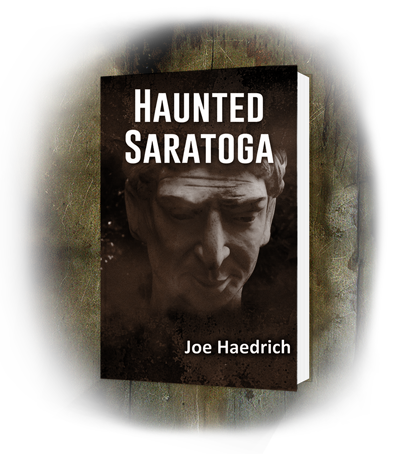 Saratoga is the home of many fascinating spirits who have appeared numerous times since their earthly forms have departed over the past several hundred years. They have been the subject of books and TV shows like Ghost Hunters. We tell their stories. It’s an entertaining, fun and sometimes scary look into Saratoga’s colorful history. When are tours held? Haunted Saratoga Ghost Tours are held every Fri & Sat at 7:00PM from May - Mid-November. Tours are held rain or shine—except on the stormiest nights. Please bring an umbrella or rainwear if appropriate. How long is the tour? The tour takes 1.5 hours and covers less than a mile of easy paced walking. Where does the tour start? The tour covers parts of Congress Park and downtown Saratoga Spings. Specific meeting instructions will be sent by email when the tours are booked. How do I buy tickets? The best way to get tickets is to buy them on line using the "Book Now" button above. If you have questions or special needs you can email us at HauntedSaratoga@gmail.com or call us at 518-832-3796. Do tours sell out? Yes, please buy tickets as early as possible. The number of spaces on a tour is limited. Do you have private tours? Yes. We conduct private tours, especially for school groups, at times other than the regularly held tours. Please inquire. Are tours handicapped accessable? Reasonable accommodations for all of our disabled guests will be made. Please call us at least 24 hours in advance so that we can make appropriate arrangements. The route of the tour is mostly flat with no stairs to climb and paved. Are tours appropriate for all ages? Yes, this is a family friendly event. 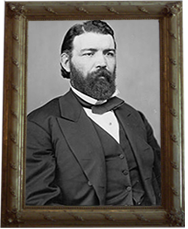 We will meet a few ghosts along the way but they are mostly friendly and have great stories to tell about Saratoga history. Please keep in mind that we use some dramatic re-enactments, historical facts, and creative storytelling to thrill, entertain, and scare our guests. These are the stories of Saratoga Springs' ghosts--many of whom still are known to make their presence felt. There's Angelina, the witch of Saratoga, Old Smoke who haunts the city's historical museum and the Trask family among others. They will entertain, amaze and even perhaps scare you.